Instead of revolutionizing the way we watch TV, the first wave of Google TV-enabled devices merely complicated it—all without adding much in the bargain. So perhaps it shouldn’t come as too much surprise that the very first Google TV box—the Logitech Revue, which came with a $299 price tag when it first arrived last October—drew little interest from viewers and a $50 price cut earlier this year. Well, Logitech has just announced that it will soon chop the Revue’s price tag again—to just $99 (as reported by NewTeeVee), same as the revamped Apple TV and the priciest Roku streaming-video box. We’re pretty much talking a fire sale here. The Revue's back panel: Yep, that'a a lot of wires there. Don’t be tempted, though. 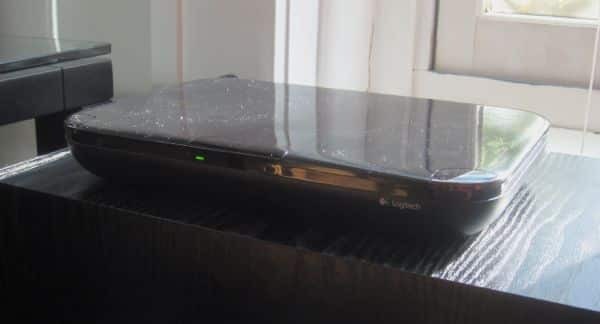 Based on my experience late last year with the tricky-to-install, tough-to-use TV set-top box, the Revue still isn’t a bargain, even after such a steep discount. 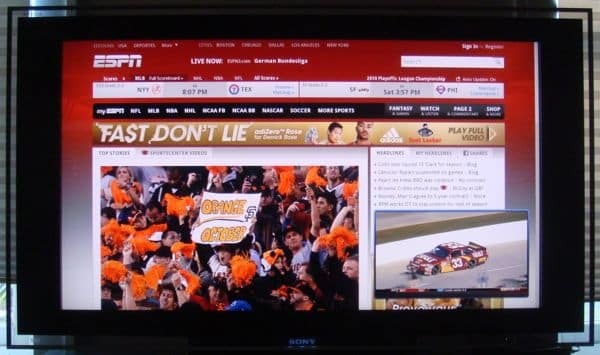 Google TV promises to let you watch TV and browse the Web at the same time using the old, familiar picture-and-picture approach, as well as (eventually, at least) run applications from the Android Market. Apps for streaming video and music services like Netflix, Amazon, and Pandora as also available. 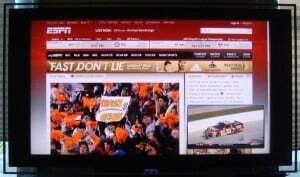 The Revue's picture-and-picture feature, with the web in one window and live TV in another. 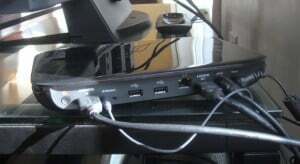 But as I wrote last year, setting up the Revue in your living room involves disconnecting your cable box or DVR from your TV and connecting it to the Revue; after that, you use a connect a second HDMI cable to the Revue and plug the other end back into your TV. You’ll then have to attach an infrared transmitter to the Revue that “blasts” wireless commands to your DVR, essentially taking control of it. 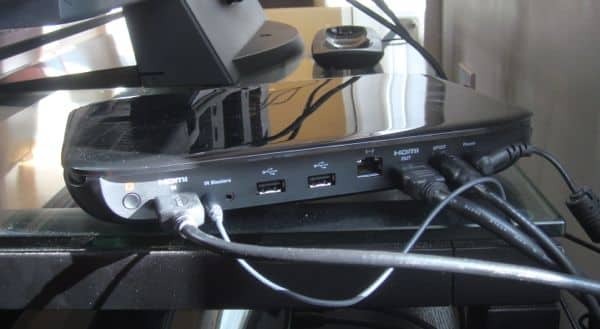 If that sounds like a messy setup, well … it is, although the Google TV interface does a reasonably good job of guiding you through the tedious process. The Revue also comes with a large, clunky keyboard with “squishy,” non-backlit keys (good luck typing in the dark), as well as a “quirky” interface that forces you to switch back and forth between a touchpad and arrow keys when navigating the various on-screen menus. The Revue's clunky keypad: No backlighting, and "squishy" keys. Beyond the actual Revue hardware, there’s also the fact that all the major networks have blocked access to their free, streaming TV episodes from Google TV devices—essentially negating one of the big selling points for Google TV in general. In the end, it’s hard to recommend the Revue—even at $200 off its original price tag—over such competing devices as the Apple TV and Roku’s inexpensive set-top boxes. Still don’t believe me? Consider this: Logitech admitted this week that over the past few months, “returns of [the Revue] were higher than the very modest sales.” Never a good sign. Read more about Apple TV, as well as the newly updated Roku 2 line of TV set-top boxes.